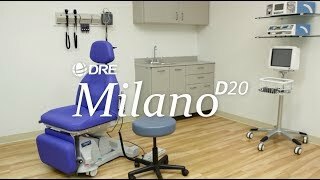 The Milano D20 is a versatile procedure chair with an articulating headrest, making it a cost-effective option for dental procedures, implantology, orthodontics, ENT, facial procedures, examinations, diagnostics, and minor surgeries. 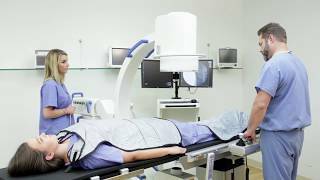 The chair also features a wheeled base and medical accessory guides. Using the handheld remote or foot control panel, operators can easily adjust the chair's four independent electronic movements: height, backrest, leg rest and seat rest. At the end of each case, the Milano D20 is easily returned to a neutral position with the convenient, automatic reset control.